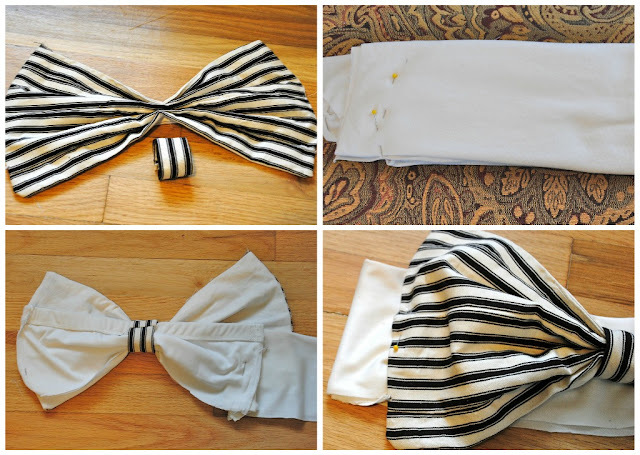 Cut a 4 inch strip and sew into a loop (this is how I make a perfect bow). For the liner, I used 2 strips of jersey that fit around my bust. 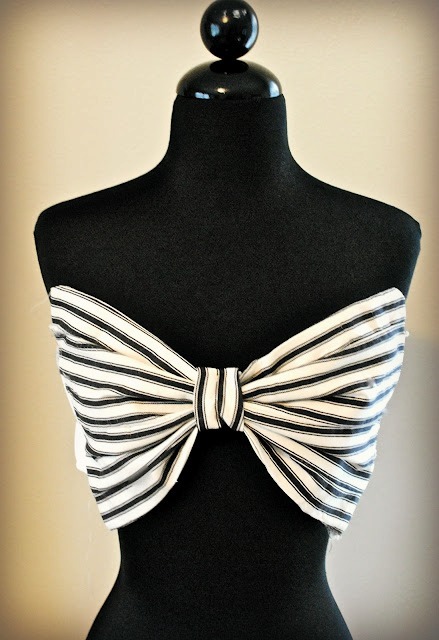 You can use a swimsuit or bandeau bra from the store too. 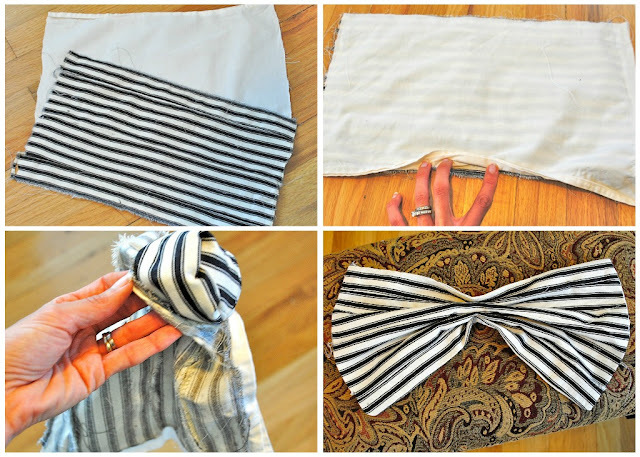 When making the bandeau, sew only one side. You will then pull the front of the bandeau through the loop of the bow. Then finish off sewing it together. Sew the bow to the sides of the liner. cutest thing ever. I can defn. do this one! precious! Would be great with one of those oversized hats!